in collaboration with some of the most creative production and events companies in the country, we have produced some of the most enduring culinary events and sensory-enlivening experiences...below is an overview of projects prior to this year. we look forward to working with you to craft an experience that will surprise and delight your guests! We produced and managed the 2017 Brainfood conference with marketplace, staged presentations and interactive art room. Working in concert with Spoon University’s designers, we created unique interactive installations including photo booths, paint murals and more. We curated and produced a live fire activation sponsored by Larceny Bourbon and Royal Oak Charcoal at the inaugural festival that featured a concessions, chef's tasting table, and celebrity chef demos and dishes for sale. 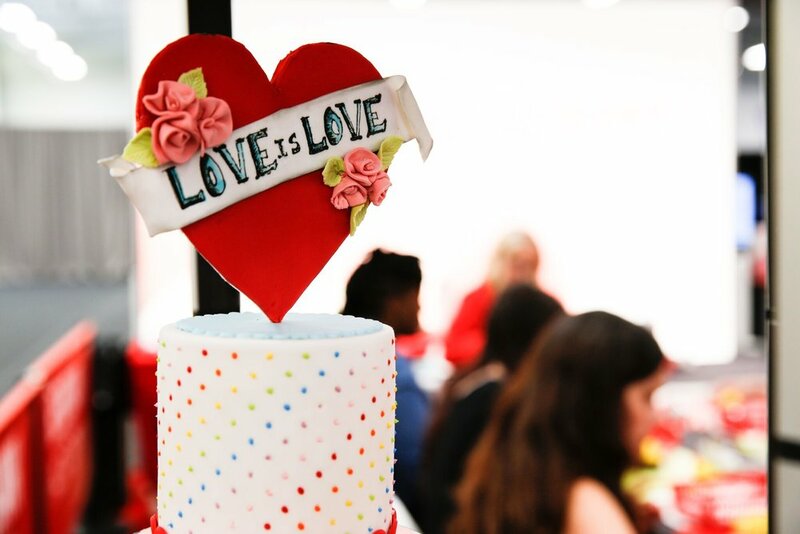 We designed and managed the two day conference that featured a cake competition, trade show floor, chef demo and hands-on kids crafting classes. Five inspiring chefs collaborated on a multiple-course wine pairing feast with the iconic Austin city skyline behind them. Entering its second decade, the weekend-long block party of authentic pit barbecue with samples from the country's top pitmasters, is one of NYC's most beloved and enduring events. Sold out from day one, the evening features 15 award-winning chefs sampling some of their favorite Southern-inspired dishes followed by a jam concert of rockstars and local musicians. chipotle's signature community-focused day-long celebration of sustainability and responsible sourcing featured how-to cooking demos like this one from celebrity chef Amanda Freitag. Alongside 3 cooking demo stages, 4 fire pit sampling tents, a grand taste and wine classes, 400 guests participated in a celebrity-chef led grilling class each day of the festival. It wouldn't be Nashville without barbecue and campfire cookery; which along with a cooking demo tent, grand taste and gospel brunch filled downtown Nashville with heavenly smells all weekend-long.